POS Bakerz, a Staking-as-a-Service (SaaS) provider that “offers public delegation services to Tezos (XTZ), Cosmos (ATOM), and IRISnet (IRIS) token holders,” has published a blog post in which it revealed the inherent risks involved with staking cryptocurrencies. Acknowledging that staking has become “a new trend” in the crypto space, as Coinbase Custody recently announced its support for staking on Tezos, POS Bakerz explained in its blog, posted on April 24th, 2019, how proof-of-stake (PoS)-based networks deal with dishonest actors or malicious behavior. As mentioned in POS Bakerz’ blog, “slashing” occurs on PoS chains when a “validator/baker” is “punished for a fault” or dishonest behavior they engaged in, and “it is a mechanism by which the network disincentivizes” malicious actions. For instance, in “Liquid Proof-of-Stake (LPoS) protocols such as Tezos only the baker is directly punished in case of a fault,” POS Bakerz wrote. According to Bakerz, one of the “most dangerous risks in staking is the volatility.” The validator mentioned that “earning” cryptocurrency dividends on staked funds could seem promising or lucrative at first; however, in bear markets, the value of the staked assets may depreciate to the point where it may no longer be feasible (or profitable) to continue staking. Going to suggest that those interested in staking first do their own research, POS Bakerz stated that users can check out stakingrewards.com if they are planning to learn more about “staking tokens” and the return on investment (ROI) they can expect. Notably, POS Bakerz is also currently assessing whether it’d profitable if staking could be extended to “hedge positions.” For now, the Bakerz’ team recommends simply shorting the actual POS cryptocurrency to potentially reduce, or minimize, losses when prices go down. In order to check whether users have received rewards on staked funds, Bakerz highly recommends using Baking Bad on Tezos, a delegator auditor, and/or block explorers to see if payment was actually made. According to POS Bakerz, validators need not have “custody” of staked user funds, so it is recommended that the funds “not be sent directly” to the validator’s wallet. There’s also a guide which POS Bakerz suggested that potential stakers follow for further instructions. As noted by Bakerz, when users stake funds on PoS chains, they are “directly contributing to the centralization or decentralization of the network.” For example, the “percentage of voting rights” retained by the “top 10 block producers (BPs)” on Cosmos stands at 57.3% (as of April 13th, 2019). Voting rights for the top 10 BPs on Tezos and IRISnet is currently at 28.8% and 34.3% respectively. Decentralized browser Brave has launched Brave Ads, an option that enables its users to earn rewards for watching advertising. The development was announced on Brave’s website on April 24. The announcement reads that users of Brave — which is an open-source blockchain-powered browser that blocks ads and website trackers — can now receive 70% of the ad revenue share as a reward for their attention in the form of the browser’s native cryptocurrency, basic attention tokens (BAT). Brave Ads purportedly ensures that brands are connecting with people who are interested in advertising, eliminating costs, and risks regarding privacy, security, and fraud. In January Brave partnered with news website Cheddar to offer its users three months of free access to premium content. The browser’s users will purportedly automatically obtain access to premium content on Cheddar’s website, without action on the user’s end. As reported last December, Brave became the default browser on a phone from major smartphone manufacturer HTC. Brave was reportedly set to be pre-installed on the HTC Exodus 1, “the first native blockchain phone” with support for multiple blockchains, including the Bitcoin and Ethereum networks. At press time, BAT is trading at $0.433, having gained almost 6.79% over the past 24 hours, according CoinMarketCap. The token’s current market capitalization is around $541 million, while its daily trading volume is around $136.9 million. Japan’s Financial Services Agency (FSA) recently investigated two cryptocurrency exchanges which made significant changes in its management as reported by Reuters. The regulatory watchdog was on the lookout for the modalities put in place by these platforms to prevent money laundering and to protect customer funds. According to Reuters, two anonymous sources revealed that Japan’s financial watchdog visited two Japanese cryptocurrency exchanges, Huobi Japan Inc and Fisco Cryptocurrency Exchange Inc to check for security lapses. The sources stated that both exchanges recently shuffled their management. Following the change in management, the FSA paid a visit to Huobi and Fisco to probe if the exchanges had measures in place to protect its customers against fraud and check anti-money laundering (AML). Also, the regulatory body investigated both companies for internal oversight. Huobi and Fisco, however, did not provide information regarding the visit and inspections of the FSA. With the massive hacks suffered in the past by Japanese digital currency exchanges, the recent move by the regulatory body shows that it is out to ensure that companies tighten their security, eliminating room for lapses. In one such effort at ensuring top-notch security, the FSA mandated virtual currency exchanges to beef up their security protocol. The Japanese body observed that even with the more secure cold wallets used by most exchanges, most were prone to inside attacks due to the sloppy security system. Earlier on, the FSA put a restriction on hot wallets, as its usage led to the loss of millions of dollars in virtual currency. Japan is the first country to set up a regulatory framework for cryptocurrency exchanges operating in the country, and ever since, the country has been trying to ensure security and consumer protection. The inspection of Huobi Japan Inc. and Fisco isn’t a first, as the FSA in April 2018, suspended two virtual currency exchanges, Eternal Link and FSHO, following the hack of Coincheck and Zaif. Investigations by the regulatory body revealed that both Eternal Link and FSHO had lax know-your-customer (KYC) checks and inadequate security. Also, Japan-based digital currency exchange, BitFlyer, upgraded its user verification process after a query from the FSA. Although a friendly haven for cryptocurrency exchanges, Japan’s insistence on security and user protection has caused home-based exchanges to sit up. While the country’s regulatory laws may be seen as draconian for some causing others to leave, companies willing to operate in Japan would ultimately have to bend to the FSA’s rules. John McAfee, the eccentric British-American cryptocurrency evangelist and computer programmer that founded McAfee Associates, one of the earliest software firms in the world, has suspended his plans of unmasking the identity of Satoshi Nakamoto, the pseudonymous creator of Bitcoin, reports Bloomberg on April 23, 2019. Per sources close to the development, John McAfee, the crypto big whale who used to promote initial coin offering (ICO) projects via his official Twitter handle for a fee of $100,000 per tweet, has suspended his plans of revealing the real identity of Satoshi Nakamoto to the the public, claiming the move could hurt his entire struggle against an impending extradition to the United States from his current hide out in the Bahamas. For those unaware, earlier in January 2019, McAfee announced he had fled the United States due to tax fraud charges by the Internal Revenue Service (IRS). The 2020 U.S. presidential “aspirant” also claimed he was charged for using bitcoin and altcoins to facilitate his criminal activities by a Tennessee court. While the identity of Satoshi remains a mystery to date, with several “faketoshis” claiming to be the almighty creator of bitcoin, McAfee has made it clear that being one of the best technologists on earth makes unraveling the mysteries behind Satoshi Nakamoto quite an easy task for him. Interestingly, McAfee took to his official Twitter handle to post a letter from his lawyer, in a bid to back his claims up. “The U.S. extradition request to the Bahamas is imminent. I met with Mario Gray, my extradition lawyer, and it is now clear that releasing the identity of Satoshi at this time could influence the trial and risk my extradition. I cannot risk that. I’ll wait,” McAfee tweeted. ‘Smart card’ crypto wallet manufacturer Tangem has received a $15 million investment from major Japanese financial services firm SBI Group, Cointelegraph auf Deutsch reports on April 24. The new investment will purportedly allow Tangem to relocate its headquarters to the ‘Crypto Valley’ of Zug, Switzerland. “It is the main mission of Tangem to bring the application of blockchain technology to people’s everyday lives. Our technology can help many industries really benefit from blockchain tech and make the life of individuals safer and better through financial inclusion and access to decentralized payment solutions”. The startup was co-founded by the former head of UBS‘s Moscow branch, Anselm Schmucki, and claims to combine Swiss financial know-how with Russian IT expertise. Under the leadership of CEO Andrey Kurennykh, the company employs 13 people in Switzerland, Russia, Singapore and Hong Kong. Currently, the startup is working on the application of Tangem notes, and has produced and sold over 25,000 wallets for individuals and companies such as Cardano and RSK. Tangem carried out the first pilot sale of its card wallets in the spring of 2018. In January 2019, Tangem reportedly came to an agreement with the government of the Marshall Islands to issue physical banknotes for the Sovereign (SOV), the state digital currency of the Marshall Islands. Brazilian police have arrested a man for operating a clandestine drug laboratory and using the leading cryptocurrency bitcoin (BTC) to launder the proceeds, Cointelegraph Brasil reported on April 24. At the site, law enforcement officials found 25 digital currency mining machines, which ran 24 hours a day, as well as “sophisticated” software and hardware, with an estimated value of more than 250,000 reals ($63,000). According to the police, the person who claimed to be responsible for the equipment argued that “he rented the space and was mining bitcoin as an investment — which is not abnormal.” The suspect was reportedly fined for illegal use of electric power in the house. Earlier in April, the Manhattan district attorney indicted a group of individuals with allegedly selling drugs and laundering millions of dollars with bitcoin. The defendants allegedly operated stores on the Dark Web that sold and shipped “hundreds of thousands” of tablets of counterfeit drugs. Recently, a United States federal jury convicted two alleged cybercriminals of spreading malware to steal credit card credentials and illicitly mine cryptocurrency. The infected computers also reportedly registered over 100,000 AOL email accounts that were used to spread the malware further with millions of emails sent to the stolen addresses. Despite competition and the threats of Binance Chain, Ethereum will leverage on their first mover advantage as a time-tested platform and recover. Besides, the promise of Ethereum 2.0 and implementation of EIP 1234 means scarcity and ETH holders would be the primary beneficiaries. That Ethereum is enjoying a first-mover advantage in a field that is already crowding with competitors offering faster and cheaper alternatives is correct. Entrants like Tron, EOS and now Binance Chain may prove too “speedy or scalable” for a platform that is already grappling with scalability and dApps shifting camps thanks to VMs that are compatible with open source Ethereum. Although plans are there to increase the throughput of the network via Shasper for example, similar platforms as Tron and EOS are operating with irresistible offers as well as a scalable network though with a tinge of centralization thanks to consensus algorithm deployed. Even so, there is hope, and as Ethereum seek to migrate from a proof-of-work to a proof-of-stake system, the activation of Constantinople was at the back of consensus that mining rewards would fall from three to two in readiness of a freeze that will not only see rewards decrease but inflation drop to 0.5 percent during Serenity. In the short-term, this may disadvantage or even dis-incentivize miners, but in the long-term, odds are, Ethereum (ETH) prices could soar thanks to scarcity—both in rewards and inflation, better placing the second most valuable coin as a perfect store of value with smart contracting capabilities, better than Bitcoin. Changing hands at $165 with a market cap of $17,372 million, Ethereum (ETH) is under pressure and cracking. It is down 5.5 percent in the last 24 hours. Even so, it is not as positive despite the coin trading within a bullish breakout pattern. First, it is clear that sellers of Apr-11 are in control. That is so because, from an effort versus result point of view, buyers didn’t fully reverse losses of Apr-11. Besides, although trending above $170 in a bullish breakout pattern, accompanying volumes were low and prices didn’t rally above $190 confirming buyers of Apr-2 setting in motion the next wave of higher high propelling prices towards $250 as laid out in our last ETH/USD trade plan. Even so, any drop below Apr-15 lows at $155 could see ETH collapse back to $135 or Apr-2 lows in a retest before trend resumption. Average volumes stand at 181k in a bullish breakout pattern. 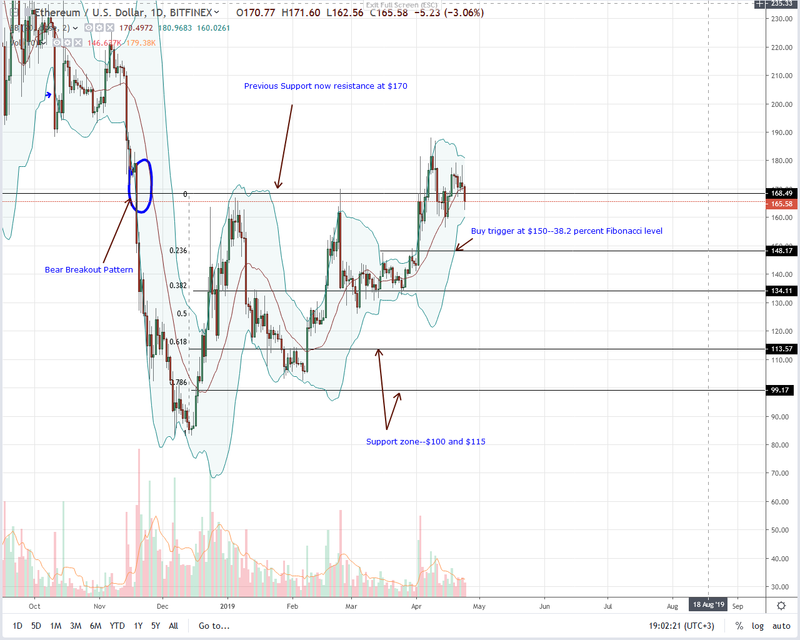 Ideally, ETH buyers would be back in control if prices edge past $190 with high volumes exceeding 575k of Apr-2 or even Feb-24 at 880k in a bullish breakout pattern that will trigger participation as prices rally to $250. During the first week of April, news.Bitcoin.com reported on a new bitcoin cash (BCH) mobile wallet called Crescent Cash. At the time, the wallet was the third wallet within the BCH ecosystem to add the Cash Accounts protocol. Now with the latest version release, the noncustodial client is the first mobile wallet to support Simple Ledger Protocol (SLP) tokens. 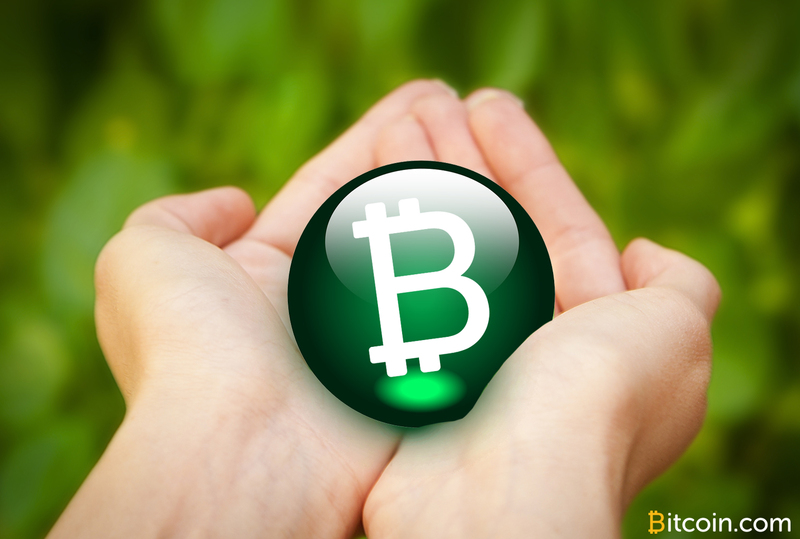 Development on the Bitcoin Cash network has continued to grow over the last few months and there’s been a load of applications released. On April 23 the developer of the Crescent Cash and the Bchgallery mobile wallets published a new version of the Crescent Cash light client. 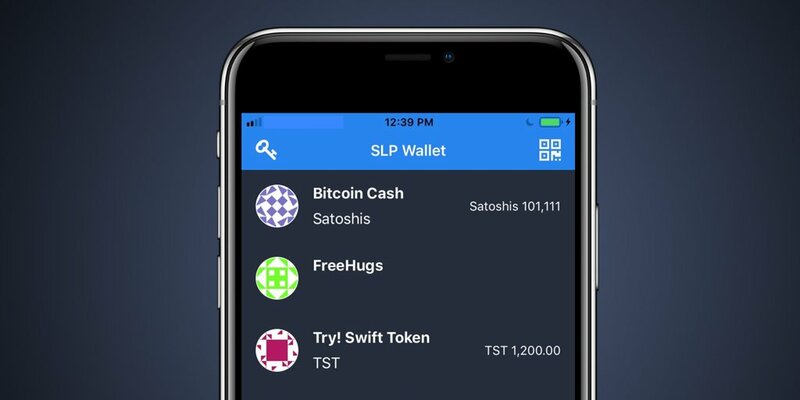 The application was built by the anonymous software programmer Pokkst and the latest release on Google Play adds SLP token support to the BCH wallet. This means Crescent Cash users can send, receive, and store SLP tokens on a mobile phone, alongside bitcoin cash in a noncustodial manner. There have been a few different wallets that support SLP tokens like Badger and Electron Cash, but Crescent Cash is the first implementation to roll out a mobile version. Interested users can test the latest version of Crescent Cash by downloading the client directly from Pokkst’s webpage or from the Google Play store for Android phones. Pokkst detailed that he would love to create an iOS version of Crescent Cash, but he needs to publish it under a registered business name which Apple requires for crypto wallets. The Crescent Cash wallet is open source and the code can be reviewed on Gitlab. Pokkst has added new features and polished the wallet code since first implementing the BCH name system Cash Accounts. The user interface has a new dark theme, the mnemonic seed phrase is now hidden, and the SPV operates a lot faster than most light clients. In addition to the Google Play version, Pokkst said he loves FOSS software and plans to release to Fdroid soon as well. 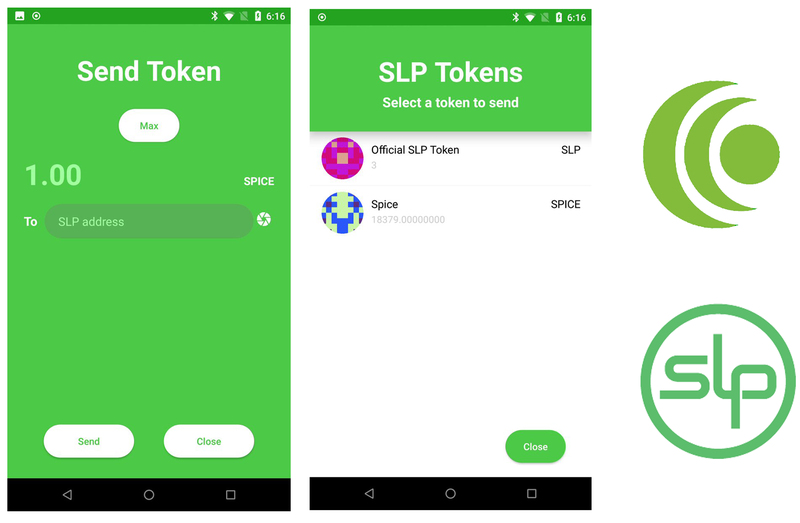 Using the Crescent Cash app with SLP tokens is fairly straightforward as the new 1.3.0 version gives users a valid SLP address in order to receive tokens. Similarly, Crescent Cash users can toggle between a BCH address or Cash Account name or use an SLP address to send a specific token to another party. After downloading the first version of Crescent Cash, I decided to test the SLP functionality and updated my current version via Google Play. The download only took a few minutes and after refreshing the application I could see a token section (view tokens) while the wallet syncs with the BCH network. In order to add tokens to my wallet, I simply pressed the ‘Receive’ icon. Here, the user can choose between a standard Cashaddr address for BCH or the SLP address format for tokens. Using my Badger wallet in my Chrome browser, I sent 1,000 Freehugs to my Android phone that I use for testing wallets. The Freehugs didn’t show up in my Crescent Cash account dubbed ‘SLPtokencollector#16048’ until after one confirmation, and once in a while Crescent Cash crashed when it was syncing to the network. After about 10 minutes I went back to my phone and refreshed the application which then showed me my 1,000 Freehugs. SLP wallet for iOS is coming soon, alongside a Badger wallet for mobile phones as well. The latest application from Pokkst is the first mobile SLP light client, but not the only BCH wallet that plans to offer SLP support for smartphones. The team behind Badger is in the midst of developing a Badger mobile wallet as well and BCH developer Jean-Baptiste Dominguez showed a sneak peek of an SLP mobile wallet that works for Apple’s iPhone. The Simple Ledger Protocol has gained broad support throughout the BCH ecosystem with tipping bots, block explorers, Badger, and Electron Cash support and now the latest mobile release from Pokkst adds one more platform. What do you think about the Crescent Cash BCH mobile wallet with Cash Accounts and SLP token support? Let us know what you think about this project in the comments section below. Disclaimer: Bitcoin.com does not endorse this product/service. This editorial is intended for informational purposes only. This release is an early version of this particular wallet software and early versions can often be buggy. Readers should do their own due diligence before taking any actions related to the mentioned company or any of its affiliates or services. Bitcoin.com or the author is not responsible, directly or indirectly, for any damage or loss caused or alleged to be caused by or in connection with the use of or reliance on any content, goods or services mentioned in this article. Image credits: Shutterstock, Pixabay, Twitter, Crescent Cash, and Jamie Redman. Now live, Markets.Bitcoin.com – a comprehensive, real-time listing of the cryptocurrency market. View prices, charts, transaction volumes, and more for the top 500 cryptocurrencies trading today. The service, through a partnership with blockchain startup Coinme that offers individuals the ability to convert cash into bitcoin, has expanded from an initial 70 machines to some 2,100 different kiosks, Coinme announced Wednesday. Further, while the partnership initially enabled kiosks in Albertsons and Safeway stores, customers can now access the buying option in Jewel, Shaw’s and Save Mart locations, according to a press release. Coinstar CEO Jim Gaherity said in a statement that his company saw an “extremely positive” response to the initial announcement in January 2019. At the time, Coinstar announced that customers could purchase bitcoin using U.S. dollar bills, though coins would not be accepted for such transactions. The company imposed a $2,500 limit. Wednesday’s press release explained that the partnership’s initial launch saw a 15 percent week-over-week growth in user acquisition, the release noted. Moreover, the first quarter of 2019 “has been one of the most successful in Coinme’s five-year history,” with 92 percent growth in transaction volume and 109 percent growth in the number of transactions processed, compared to the first quarter of 2019. “We are incredibly pleased with this collaboration with Coinme and are eager to continue expanding to new markets in the coming months,” Gaherity added.